There are hardly many people who have not heard of WordPress — arguably the most popular CMS for websites and blogs. It is available as a docker image (over 10 million pulls on DockerHub), and by running it on Kubernetes you can build a reliable and scalable website platform. In this tutorial I will show you how to deploy WordPress and a MySQL database using K8s. Both applications use PersistentVolumes and PersistentVolumeClaims to store data. What are they? PersistentVolume (PV) resources are used to manage durable storage in a cluster. PersistentVolumes can also be used with other storage types like NFS. A PersistentVolumeClaim (PVC) is a request for storage by a user. Refer to the Kubernetes documentation for an exhaustive overview of supported PersistentVolumes. We will use NFS server to store WordPress and MySQL data. Let’s prepare it first. You need to change “172.31.32.0/24” to your private cluster subnet. Don’t forget to add your password to the secret.yml above. Create PV files and change the IP address of the NFS server you are using. PVC is a request for storage that can at some point become available, bound to some actual PV. Great, now let’s deploy the apps! The Service part maps MySQL’s port 3306 and makes it available for all containers with the labels app:wordpress & tier:mysql. it has a volume claim mounted in /var/lib/mysql. it has a volume claim mounted in /var/www/html from which the WP sources are served. To access WordPress list the services and navigate to the External IP:Port , in our case that would be EXTERNAL_IP:32723. Done! Now you can create your own blog or website in the WordPress web panel. 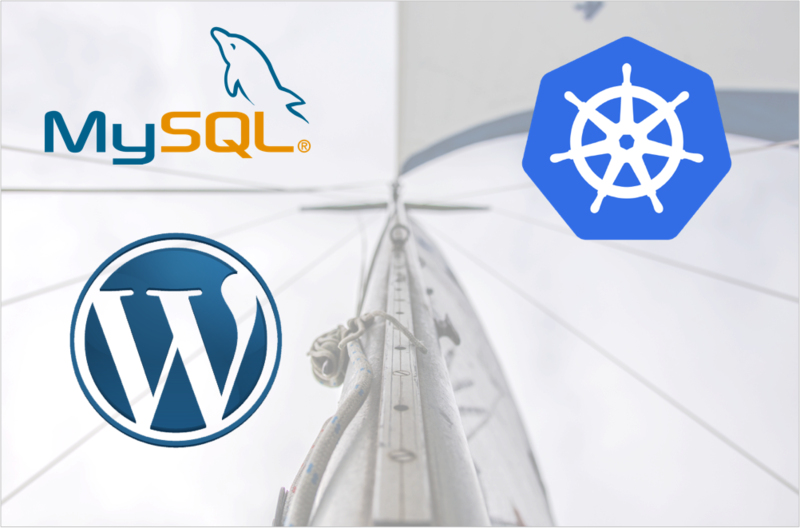 We have deployed a wordpress with MySQL, Persistent volumes, and NFS on Kubernetes. The main benefit of this stack is flexibility since it allows you to implement practically any type of workflow. This workflow can be extended or complexified depending on your development needs. Thanks for reading! Feel free to leave your feedback. Don’t forget to follow us on Twitter and join our Telegram chat to stay tuned! Containerum Platform is an open source project for managing applications in Kubernetes available on GitHub. We are currently looking for community feedback, and invite everyone to test the platform! You can submit an issue, or just support the project by giving it a ⭐. Let’s make cloud management easier together!